Look at what we found! This “nail polish” rack is perfect for your Young Living essential oil bottles. This rack will hold approximately 102 5/10/15 ml essential oil bottles. This is perfect for events, classes, and workshops — buy two, keep your empty bottles and use those for public display events. Use one for your own bottles and one for the empties! Win-win! Click/Touch here to order this rack directly from Amazon, you cannot beat the price and shipped directly to your door. 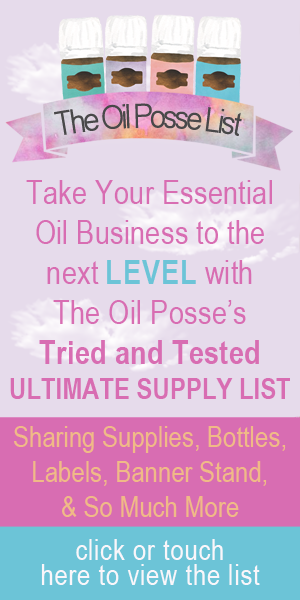 This entry was posted in Essential Oils, Marketing Material, Product Review, Resources and tagged Classes, Display, Essential oils, Events, Holder, Nail Polish, Rack, Table, The Oil Posse Team, Workshops, Young Living on May 26, 2015 by Jordyn Lei. I just purchased my third one of these racks! (Yes, I love my oils and my BIG ER dollars!) I have the oils in alphabetical order on one shelf, and the other 2 shelves are used for the most commonly used oils that I stock and those that go OOS on a regular basis.